1. Nolan Maier, Saskatoon Blades: The Saskatoon Blades goaltender stopped all 26 shots Tuesday in a 1-0 win against the Prince Albert Raiders. Maier stopped seven shots in the first, 11 in the second, and eight in the third for his first shutout of the 2019 WHL Playoffs. The Yorkton, Sask. 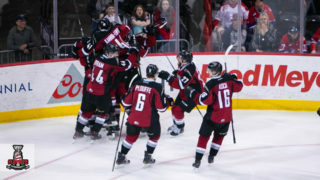 product is now 5-2 in the 2019 WHL Playoffs with a 2.32 goals-against-average and a .915 save percentage. 2. 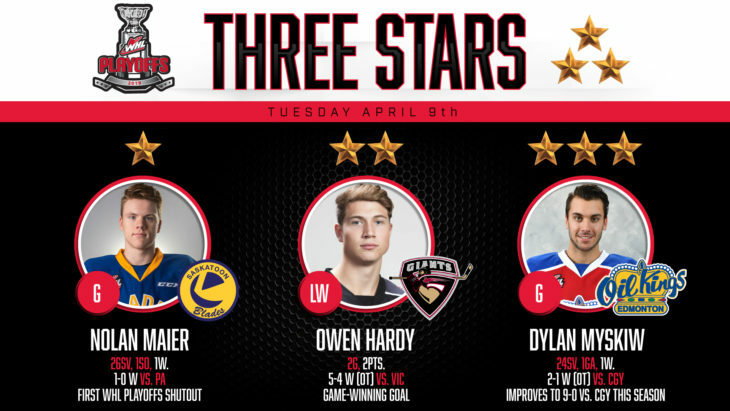 Owen Hardy, Vancouver Giants: The Vancouver Giants forward scored twice in a 5-4 overtime win Tuesday, giving his team a 3-0 series lead. Hardy scored Vancouver’s third and fifth goals of the contest, notching the game-winning goal 13:34 into overtime. 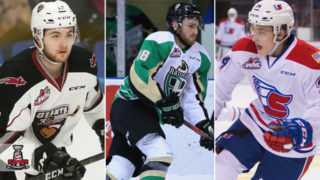 In nine games during the 2019 WHL Playoffs, the Nanaimo, B.C. product has five points (2G-3A). 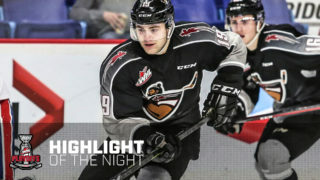 For his WHL Playoffs career, Hardy has eight points (3G-5A) in 16 games. 3. 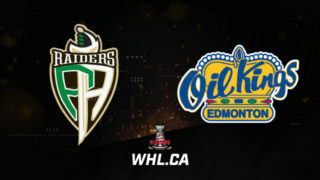 Dylan Myskiw, Edmonton Oil Kings: The Edmonton Oil Kings goaltender stopped 24 of 25 shots Tuesday in a 2-1 overtime win against the Calgary Hitmen. Myskiw stopped six shots in the first, 11 in the second, and seven in the third. He didn’t face a single shot in overtime. The Winnipeg, Man. 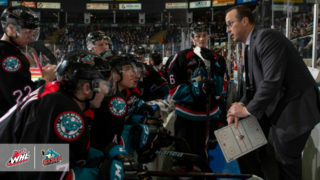 product is a perfect 9-0 against the Hitmen with the three playoff wins and six in the regular season. 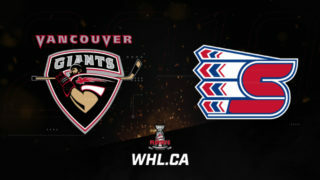 In the 2019 WHL Playoffs, Myskiw has a 4-2-0-0 record, 2.26 GAA, and a .910 SV%. 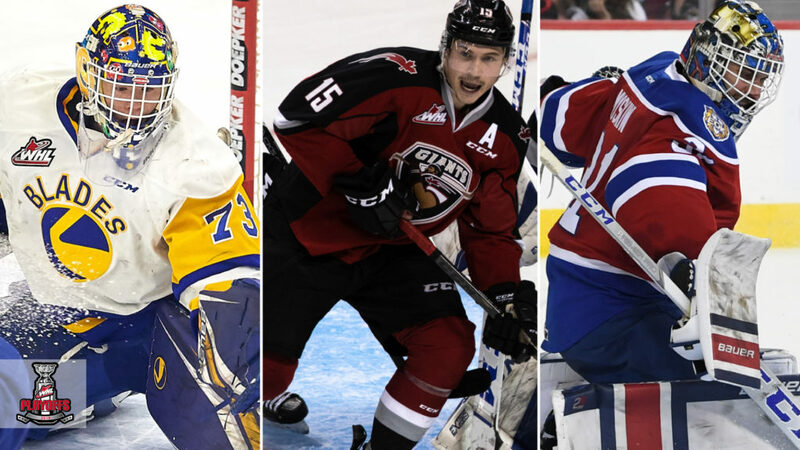 For his WHL Playoffs career, Myskiw has an 9-5-1-0 record, 3.05 GAA, and a .902 SV%.